Featuring killzone rangefinding capabilities and variable power magnification, the Sightmark Core SX 1.5-4.5x32 Crossbow Scope is the ideal crossbow scope for medium-sized game such as whitetail deer and mule deer. This scope accomplishes arrow drop compensation for exceptional accuracy and precision aiming. 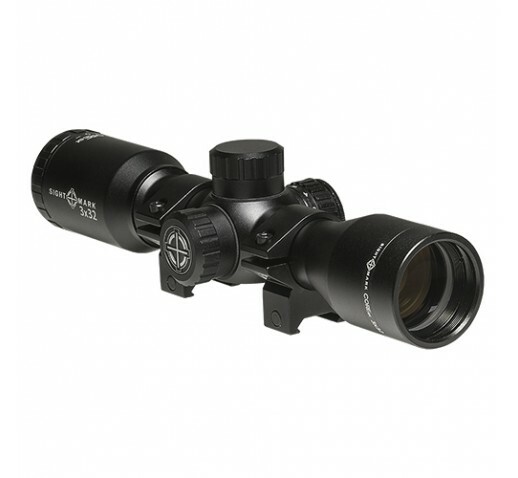 Its 1.5-4.5x magnification is tuned to 250-400 fps crossbow speeds. Equipped with a red/black VXR-M reticle and 11 brightness settings, the Core SX 1.5-4.5x32 adapts to a wide range of hunting environments. The scope features fully multi-coated optics, low-profile capped turrets and a fully weather proof body for exceptional dependability rain or shine. - Dimensions: 8 31/32" x 2 19/32" x 1 1/2"